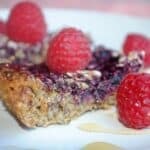 It’s time to kick the refined grains and sugar and make these delicious Gluten Free Banana Bread Oatmeal Bars! 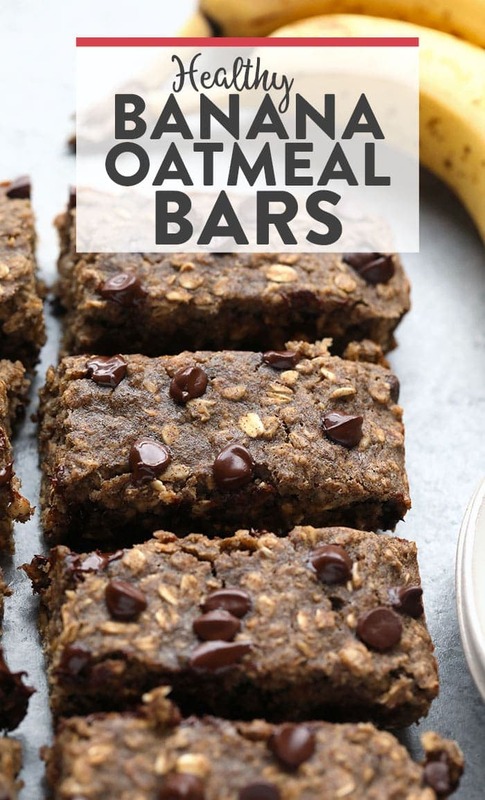 They’re made with a mixture of ground oat flour and buckwheat flour and sweetened with banana and honey. Helloooo Sunday Fun Day! 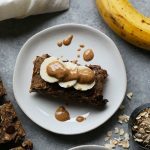 I thought I would chat a little bit about our 2018 plans for Fit Foodie Finds. We’ve been having some really great conversations with other food bloggers and experts in the industry. One of the main topics as of late is something called SEO, search engine optimization. Basically, it’s an acronym to determine how searchable your website is AKA how easy is it for readers to randomly stumble upon FFF recipes on Google and Pinterest. Fit Foodie Finds is 7 years old and you know what that means? We’ve got a lot of content on this website (thousands of posts and hundreds of recipes!)! A bulk of this year is going to be spent on going back to those hundreds of recipes and making them better. If you look back at recipes like THIS and THIS…you can see that 1. I didn’t really know how to write a recipe let alone test and develop one and 2. my photography is hilariously hideous. We’re also going to be focusing on adding the macros (nutrition) to every recipe on FFF. Get excited. Oh, and this doesn’t go JUST for recipes, it goes for lifestyle posts, round-ups, and workouts! Don’t worry, we’ve still got lots of brand new recipes and workouts in the pipeline. So, here’s to 2018 and making something that’s good even better! And guess what? 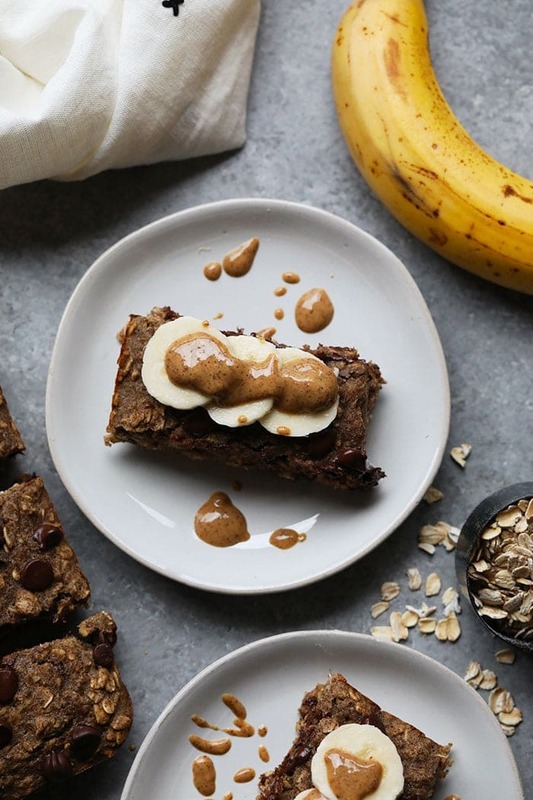 We’re starting with these Gluten Free Banana Bread Oatmeal Bars. These were first posted back in 2015. The photos were sub bar and the recipe needed some tweaking. Way back when I used to only eat gluten-free baked goods, so it’s kind of fun to rediscover all of these amazing flour blends. Honestly, we didn’t have to do THAT much to this recipe. The flavors are on point and they’re super moist for a GF flour blend. The base of this recipe is a combination of ground oat flour and buckwheat flour. Instead of spending a lot of money on ground oat flour, I make my own! All you need is a high-speed food processor and some rolled oats. Genius, right? 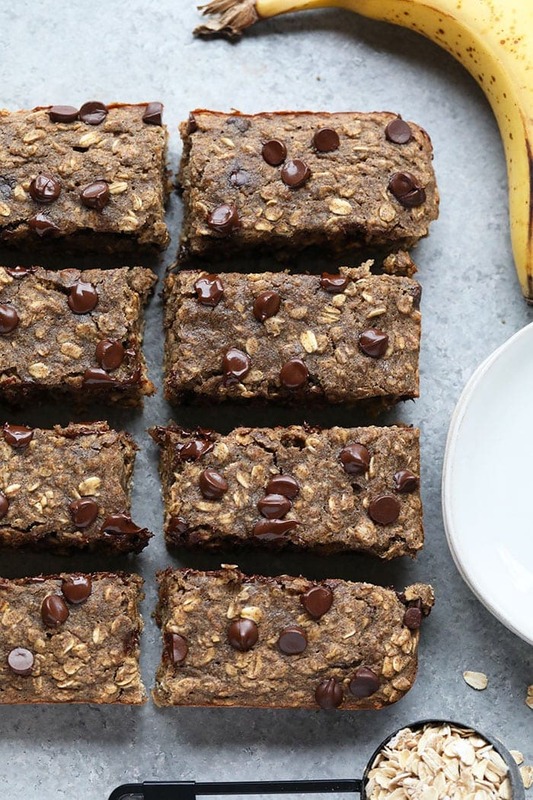 These bars are sweetened with banana (duh), a little bit of honey, and applesauce. 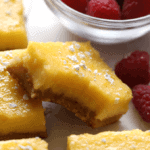 No need for refined grains or coconut sugar in these babies! Yeehaw. We did choose to use dark chocolate chips, but you can leave them out or use whatever kind of chocolate or cacao chip you prefer. First, preheat oven to 350ºF and an 8×8-inch pan with parchment paper. Spray with coconut oil cooking spray. Next, in a large bowl mix together dry ingredients, minus the chocolate chips, you’ll add those last. 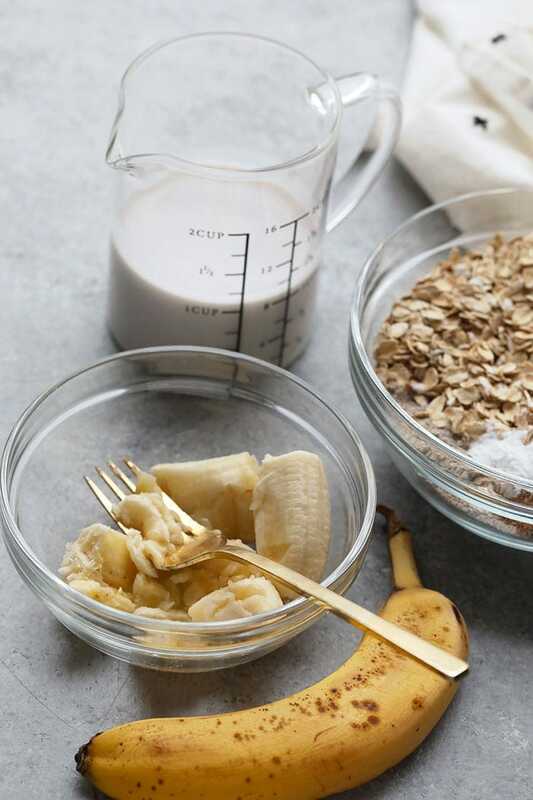 In a medium-size bowl, mash banana and mix in the wet ingredients, minus the coconut oil. Combine the wet and dry ingredients and mix until combined. Add coconut melted oil and dark chocolate chips and mix. 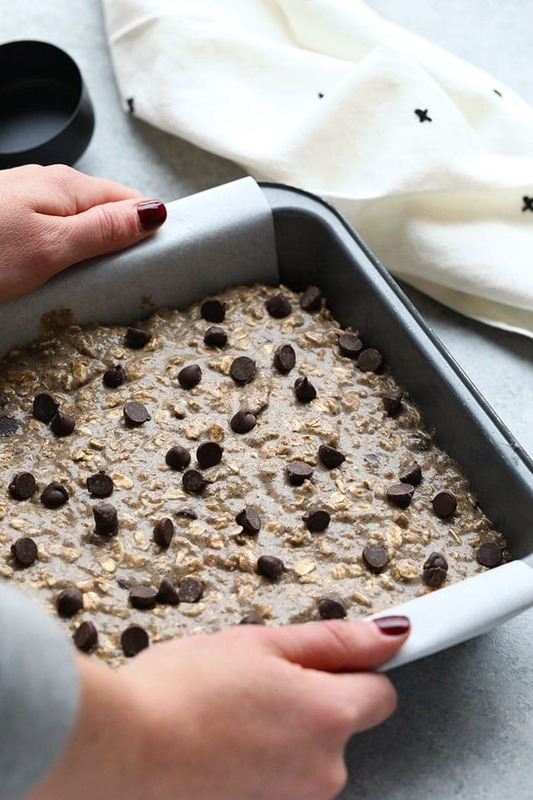 Transfer batter into baking dish and option to add more chocolate chips to the top. Bake at 350ºF for about 20-23 minutes. Let cool for 30 minutes to an hour before slicing. 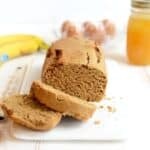 Enjoy with nut butter and fresh banana slices. You can make your own oat flour by placing rolled oats into a high-speed blender or food processor and processing until ground into a fine flour.